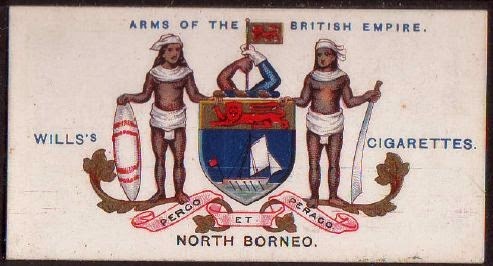 "In British North Borneo there are 350,000 people on an area one-third the size of Britain, but the Colonial Office will not admit Indian and Chinese labour for fear of creating ' another Malaya'. And the Indian Government itself is unwilling to permit indentured emigration, and imposes a ban on emigration to most of the areas that would welcome immigration"
W. Arthur Lewis, A Policy for Colonial Agriculture. THE Colony of North Borneo, whose Government requested the Government of India recently to permit the emigration of 10,000 Indian families for permanent settlement there, is the least known and least developed of the remaining British territories in South-East Asia, viz., Malaya, Singapore, Sarawak, Brunei and North Borneo. Before the war, the (Colony was a British protectorate administered by a Chartered Company. It was only in 1946 that it became a Crown Colony and the UK assumed direct responsibility for its governance. Labour, which formed a part of the Straits Settlements before the war, is now incorporated in the Colony of North Borneo. The present population of the Colony is estimated at 360,000, of which less than 20 per cent, i.e., about 70,000, are Chinese and the rest mostly native tribes, the most important being the Dusuns, who are" prosperous agriculturists. Then, there are the head-hunting Muruts, who follow the practice of shifting cultivation, and the sea-faring Ba-jaus. The Chinese form the largest alien race and are engaged in cultivation of small holdings, trade and commerce, skilled occupations and government service. The rest of the population consists of the small, but powerful, European community, a few Indonesians, Malays and Indians. The country is very thinly populated, the highest density being 23 persons to the square mile in the West Coast, where about half the population lives.